The Rev. Bob Moore, CFPA and CeasefireNJ Executive Director, speaks to the press and crowd of at the Gun Violence Prevention Press Conference joined by NJ State Senate President Stephen Sweeney and other NJ Elected Officials on Monday, October 12, 2015 outside of the Princeton Public Library on Hinds Plaza. Over 500 people attended CFPA's Annual Multifaith Service and Conference for Peace featuring Prof. Reza Aslan as well as an Ambassador, Congresswoman, and scholars. 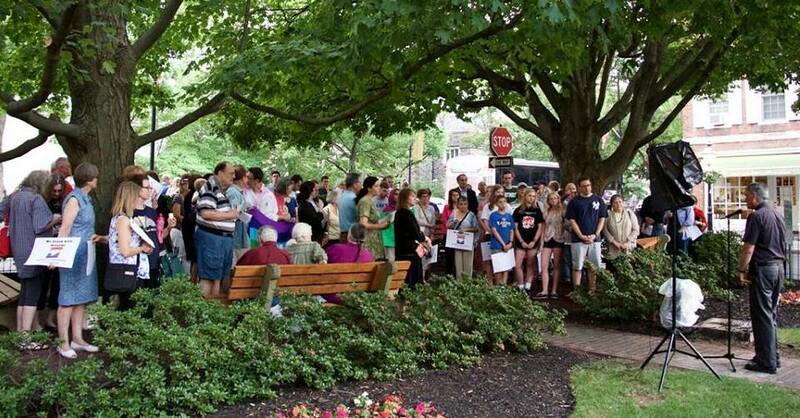 Bucks County, PA Coalition for Peace Action joined other gun safety activists at a rally marking the introduction of legislation that would establish universal-background checks for gun purchases in the Commonwealth, on the Montgomery County Courthouse steps in Norristown on Thursday, October 15. State Sen. Vince Hughes as well as other legislators, law-enforcement officials, domestic-violence agencies and gun-safety advocates attended. 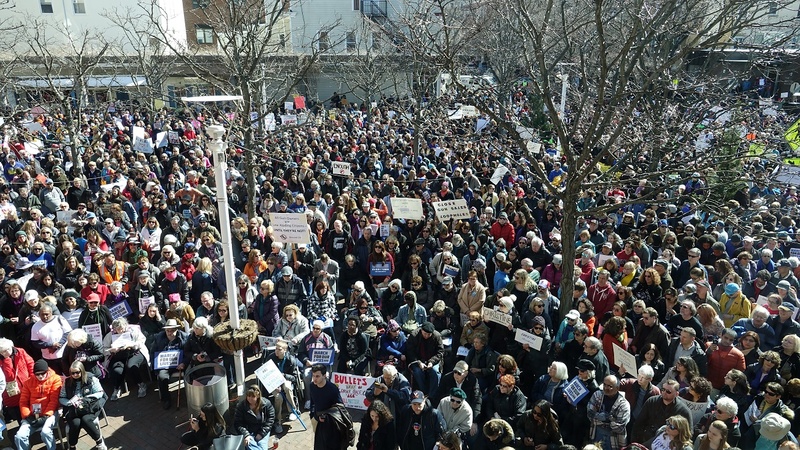 On March 24, 2018, over 4,000 showed up for Princeton's March for Our Lives local event, demanding gun safety reform after the Parkland, Florida school shooting. The rally was co-sponsored by Coalition for Peace Action, and initiated by Princeton High School senior Dziyana Zubialevich. On February 6, 2017 the Coalition for Peace Action (CFPA) co-sponsored a Rally Against Islamophobia and Bigotry with the United Mercer Interfaith Organization (UMIO). 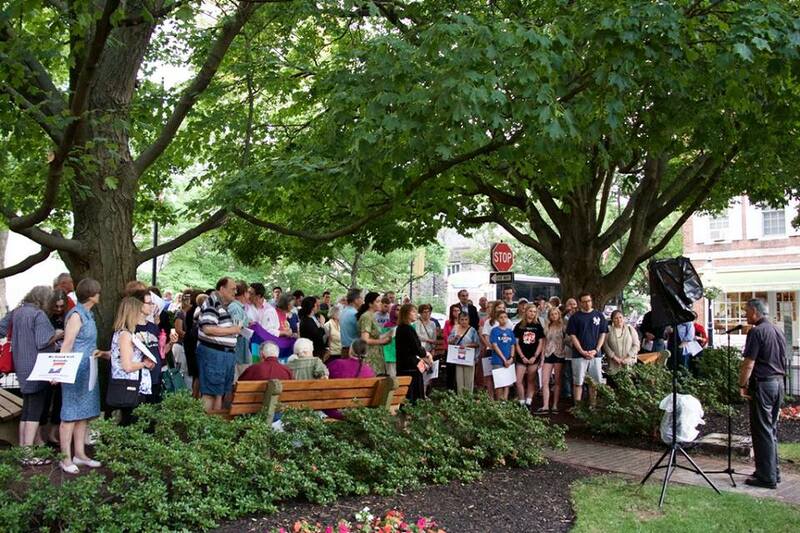 Over 250 people rallied on the steps of Trenton City Hall. Trenton Mayor Eric Jackson and CFPA Executive Director Rev. Bob Moore were among the speakers. On June 21, 2016 the Coalition for Peace Action held a Multifaith Gathering for Orlando and Beyond at Nassau Presbyterian Church. The gathering was followed by a rally and candlelight vigil in Tiger Park, Palmer Square. 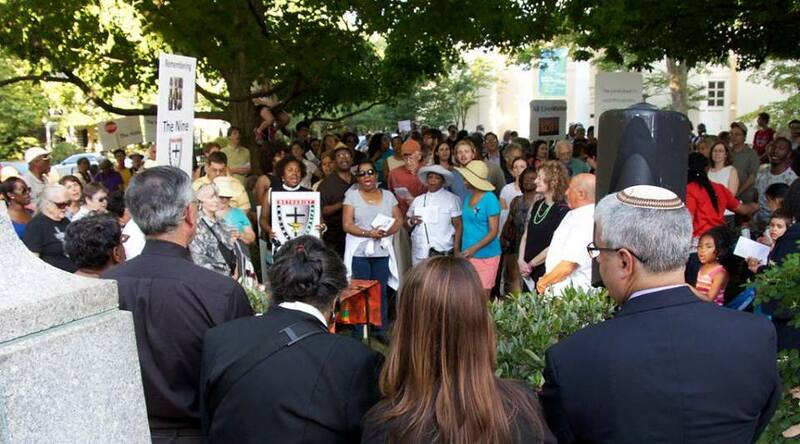 Over 400 people gathered in Princeton on June 24, 2015 to commemorate the nine people gunned down in the historic Mother Emanuel AME Church in South Carolina. 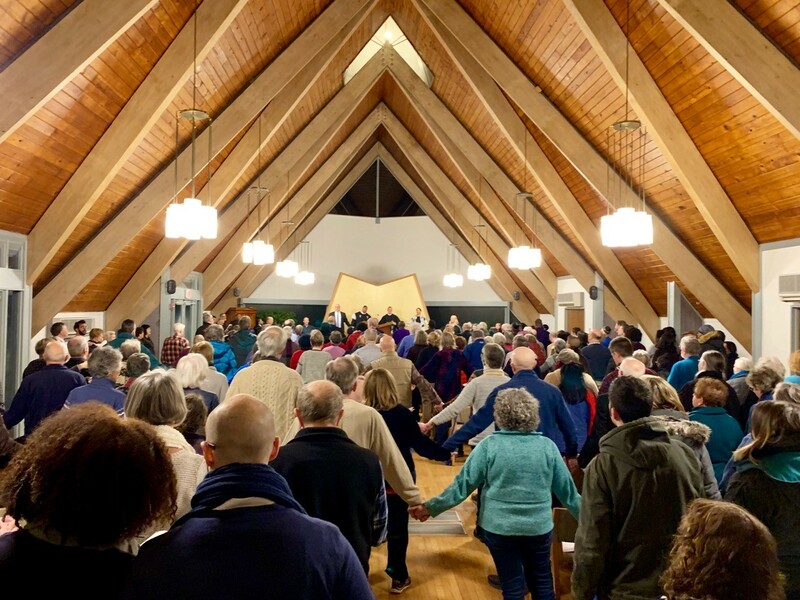 On Sunday November 13, the Coalition for Peace Action held its 37th Annual Multifaith Service and Conference for Peace, attended by over 400 people. Five expert speakers discussed the future of nuclear weapons, and Princeton students presented an original film on nuclear weapons knowledge. Special guest Sr. Megan Rice was honored for her anti-nuclear activism. 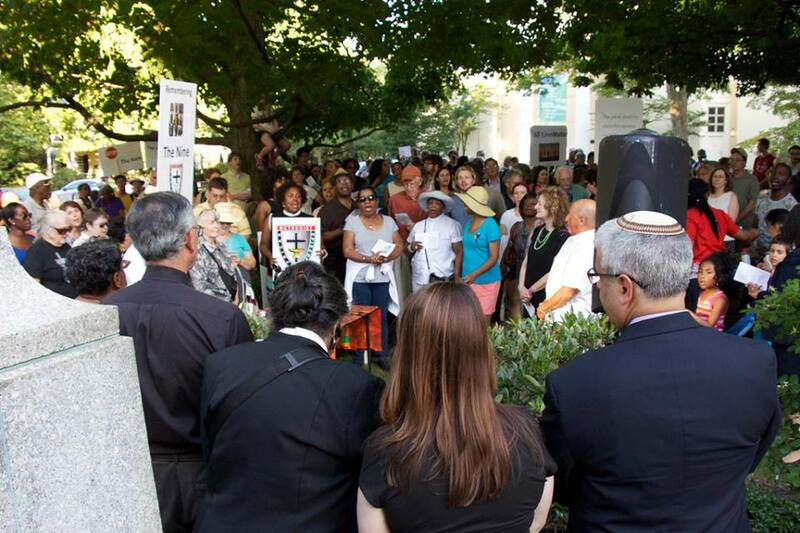 Approximately 300 people from all backgrounds gathered for the annual Multifaith Service to Commemorate and Honor the Legacy of the Rev. Dr. Martin Luther King. 6 New Gun Safety Bills Signed Into Law! Ceasefire NJ leaders stand with NJ Gov. 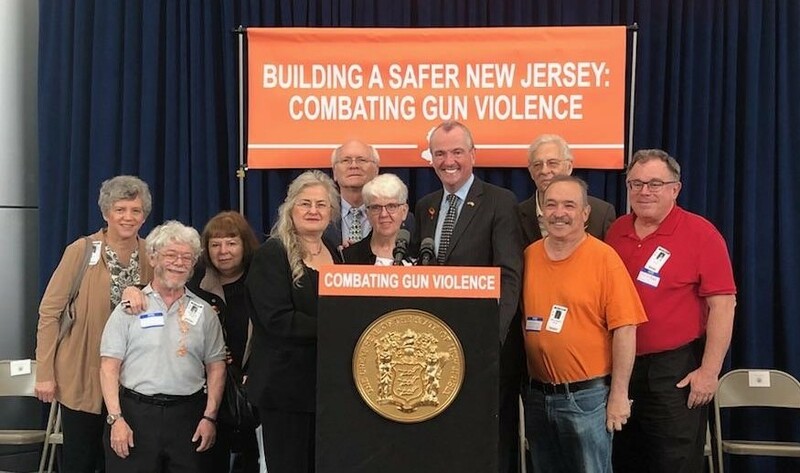 Phil Murphy at bill signing event for package of 6 new gun violence prevention laws on June 13, 2018. 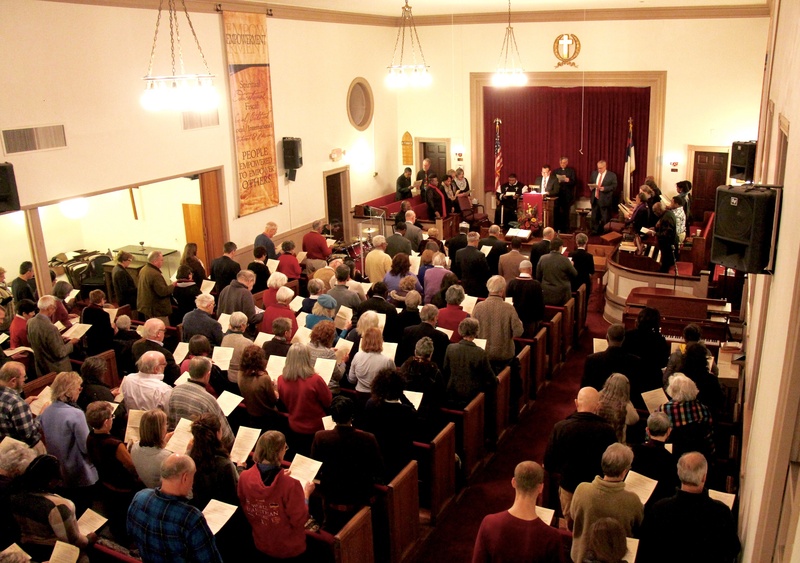 Over 70 people gathered for the Coalition for Peace Action’s (CFPA) Annual Holiday Gathering at the Unitarian Universalist Congregation of Princeton on December 5, 2015 during the Paris Climate Summit. 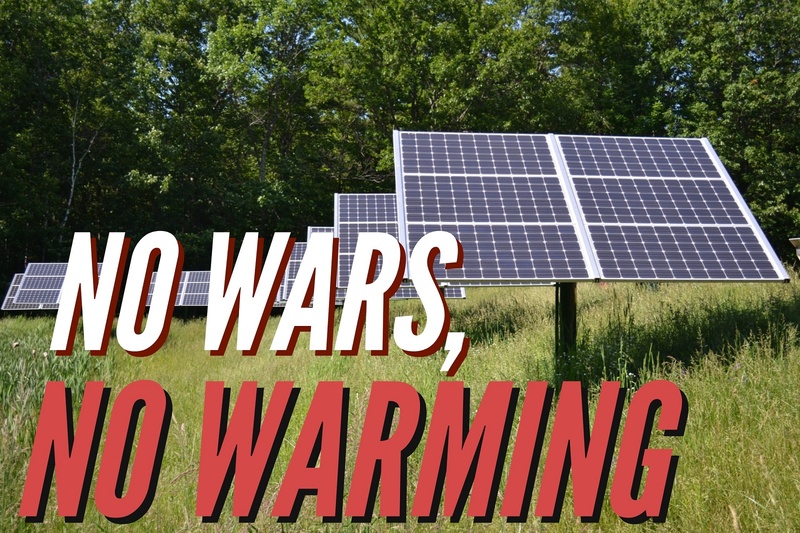 This year's topic was focused on CFPA's "No Wars, No Warming" campaign. 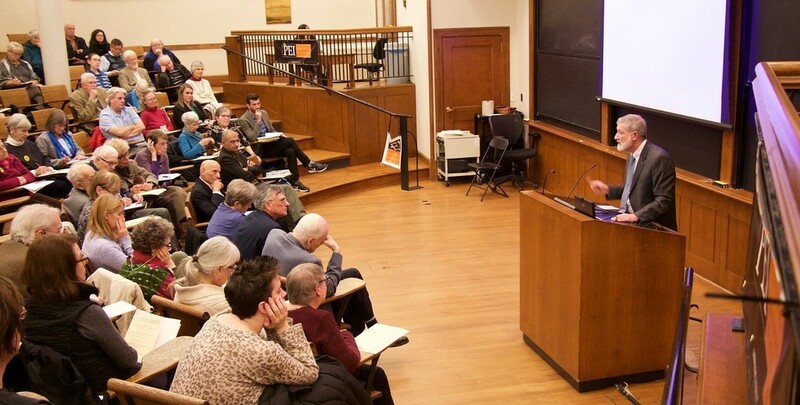 Dr. Timothy Snyder, Professor of History, Yale University was the featured speaker, along with Professor Cymie Payne J.D., Professor of Ecology and Law, Rutgers University. 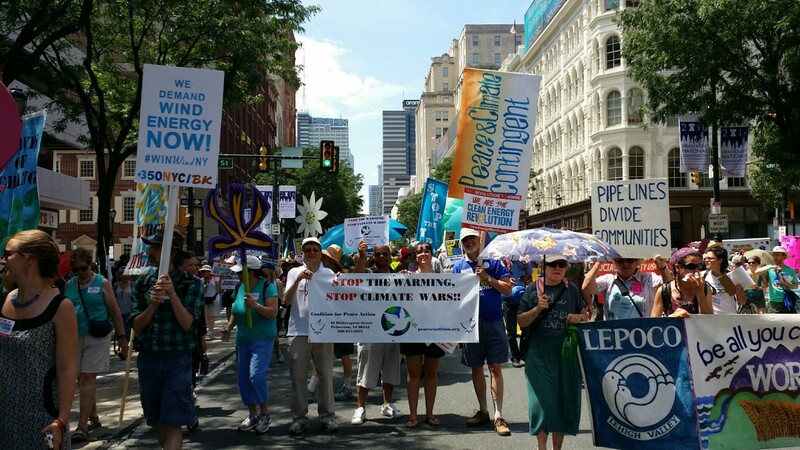 The Coalition for Peace Action (CFPA) co-led the Peace and Climate Justice contingent at the March for a Clean Energy Revolution, attended by 10,000 on Sunday, July 24 in Philadelphia on the eve of the Democratic National Convention! The Coalition for Peace Action's No Wars, No Warming campaign and Pennsylvania Chapters were active in supporting the Standing Rock Water Protectors throughout the fall of 2016. 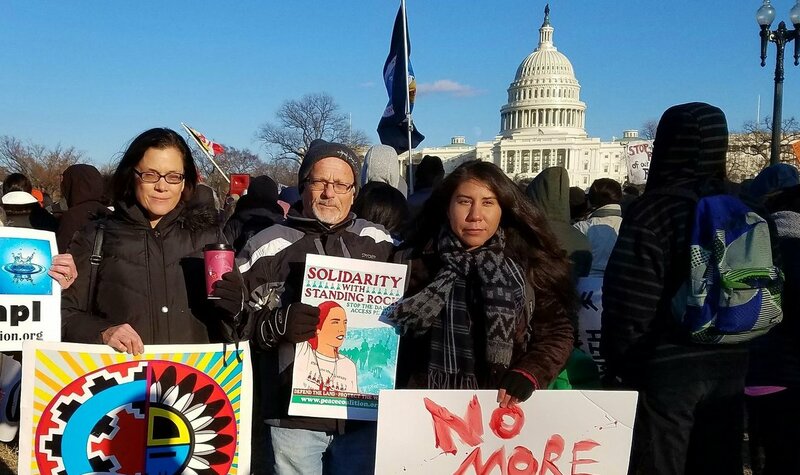 Several vigils and rallies were held in Bucks County, PA, and CFPA members attended the #noDAPL March in Washington, D.C. Ambassador Wendy Sherman speaks to a crowd of 250 at Nassau Presbyterian Church in Princeton, for CFPA's 39th Annual Conference for Peace. Other speakers included the Rev. Jesse Jackson, Ray Acheson, Dr. Leon Sigal, and Bill Hartung. 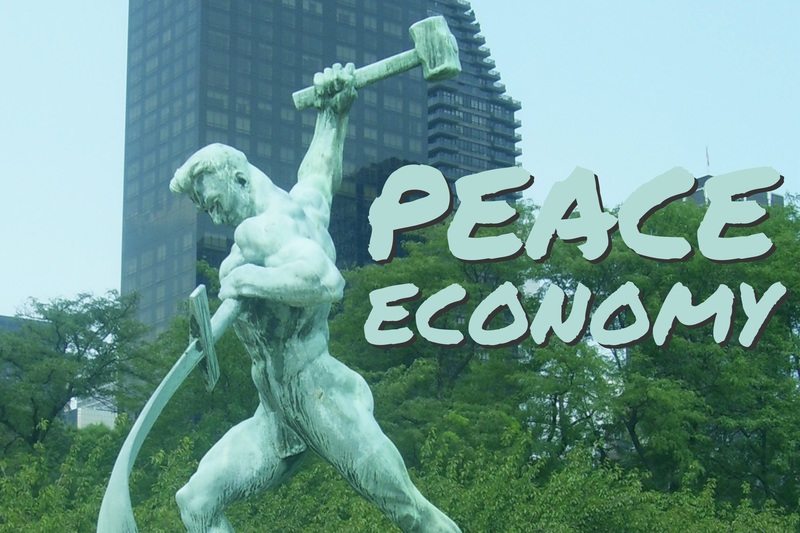 The Coalition for Peace Action joins thousands at the Peace and Planet Mobilization on April 26 for a Nuclear-free, Peaceful, Just, & Sustainable World before the 2015 Non-Proliferation Treaty Review Conference at the United Nations in NYC! Trump Vetoed the Yemen War Powers Resolution. Now What? Advocate for 2019 Peace Legislation! Tell Congress to Push for Peace on Korean Peninsula! No US Intervention in Venezuela! Make Your 2019 Commitment to Empower Peace! 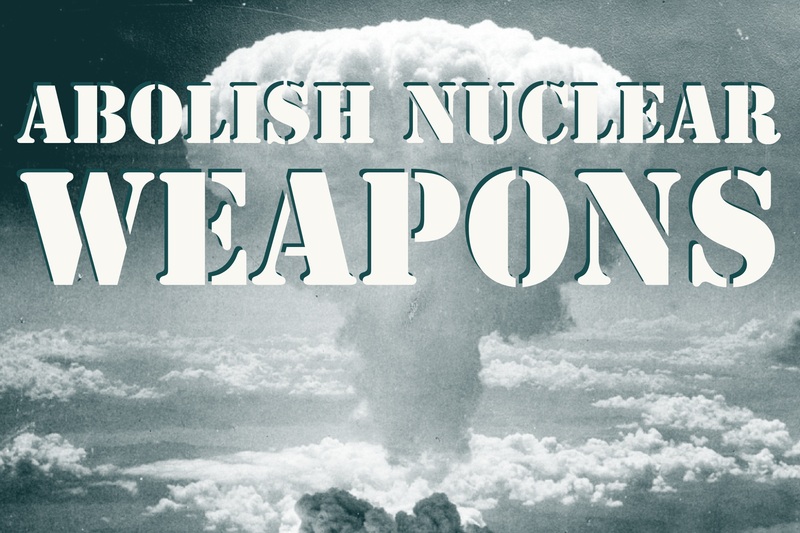 Restrict Trump's Ability to Start Nuclear War! 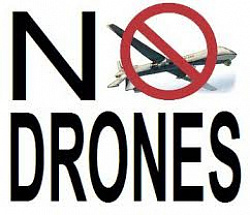 Join the Coalition for Peace Action (CFPA) on Saturday, April 27, 2019 at 12:00 PM for our Monthly Protest Against the Horsham Drone Command Center in Horsham, PA. We will once again be gathered in protest at the northern tip of the base (at the intersection of County Line & Easton Road) in Horsham PA.
Ceasefire NJ & Guns Down America - New Ways to Reduce Gun Violence!